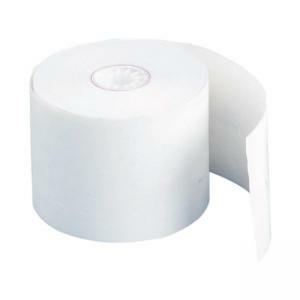 Carbonless, two-ply, multicopy rolls produce clear imprints on both copies. Each roll has a red warning signal. Both copies are white.